“Durum” is a strain of wheat that is used mostly for pasta, due to its higher protein content. (Think of “Durum” as its first name and “Wheat” as its family name.) But unless it says “whole grain” you can assume that it is refined, which means that the nutritious germ and fibrous bran have been removed. The word “enriched” almost always signals a refined grain. Refined grains are often enriched in an effort to replace the nutrients that are lost to refining. You will virtually never see “enriched whole wheat,” because it would be unnecessary to replace nutrients that have not been removed. However, the absence of the word “enriched” doesn’t mean that it is not refined. 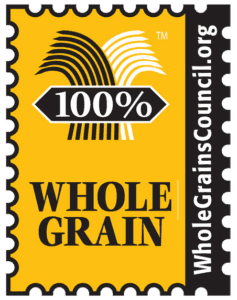 You can save yourself a lot of label reading by looking for the 100% whole grain stamp. 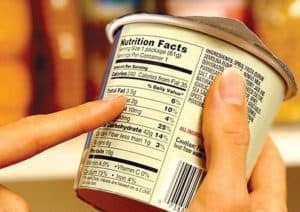 When you see this (or the words “100% whole grain”) on the front of the package, you don’t even need to flip the package over to see the ingredient list….that’s the golden ticket right there.